Protect your brand and leverage your sales force. 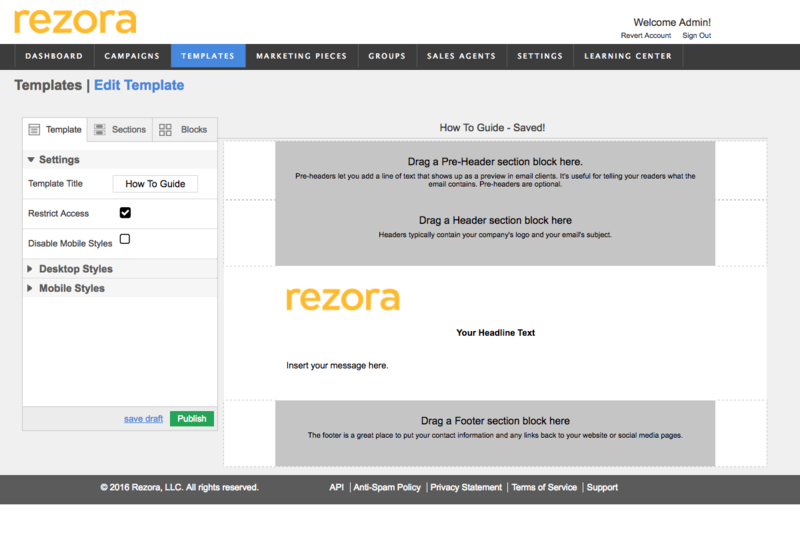 rezora's built for marketers like you. With tools to build, manage and restrict templates, you're assured that every marketing piece adheres to brand standards. "Once you build a substantial list (through your agents), you start to create a media outlet that has a bigger reach than many magazines. That's when you realize how special it is." Manage every user from one interface. Add and deactivate agents, measure agent performance and campaign adoption. 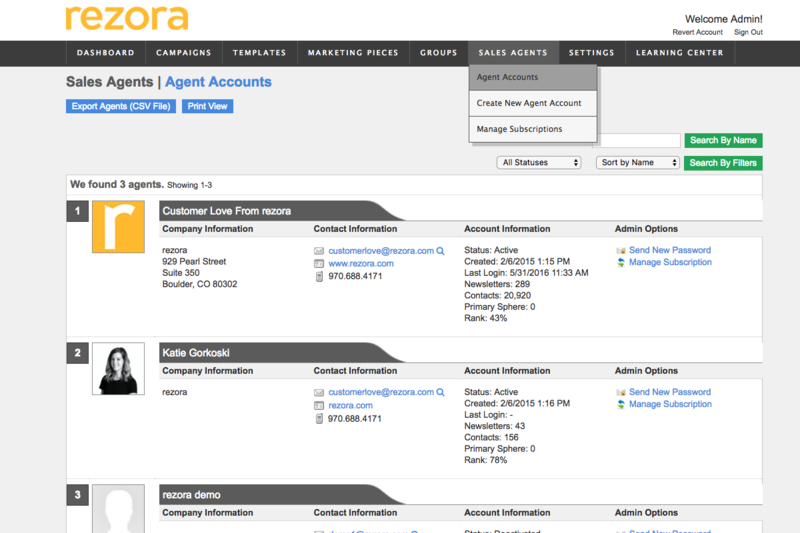 "Great platform for managing multiple agents' profiles. Love the ability to send on their behalf." Every listing is live and ready for painless inclusion in a marketing piece. Eliminate time consuming upload of listing images and data. 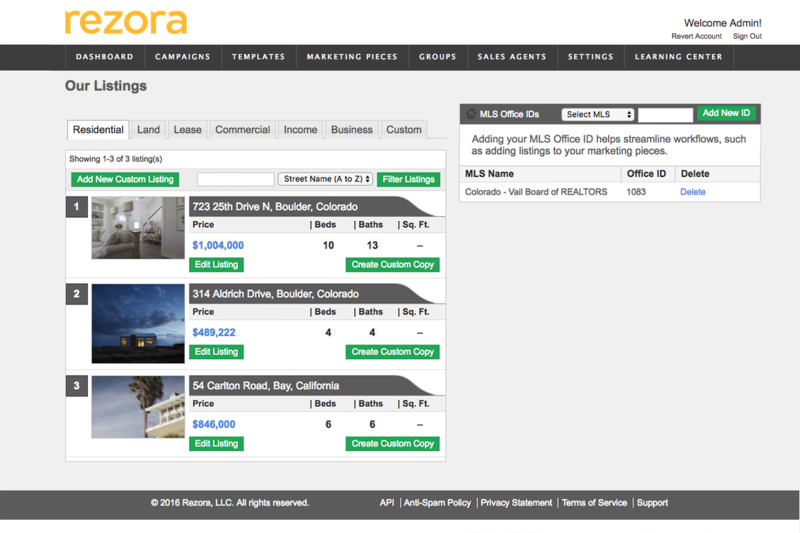 "The ability to drag and drop listings into marketing pieces live from the data feed is our favorite rezora feature."